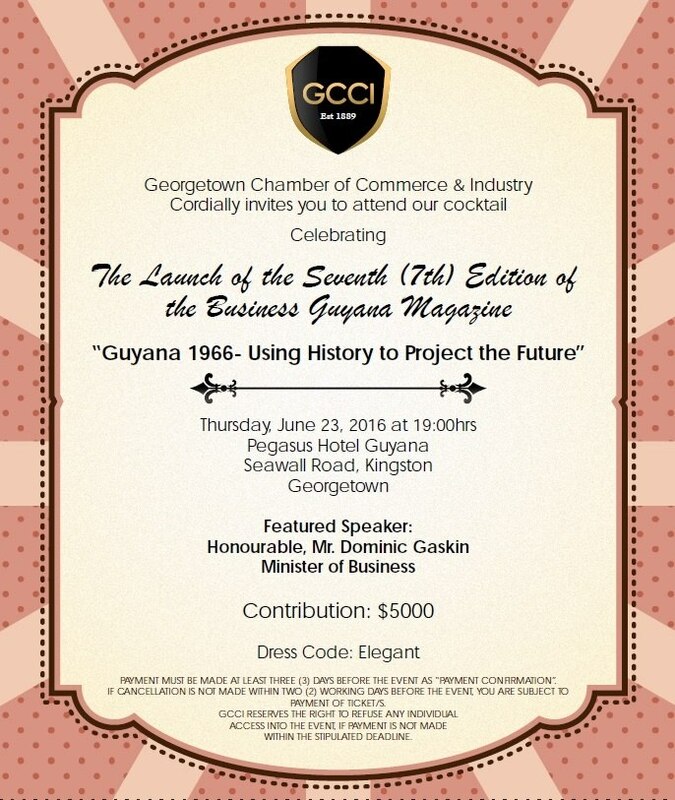 Here is your Official Invitation to the Premier Business Networking Event in Guyana, hosted by the Georgetown Chamber of Commerce and Industry – The Launch of our Business Guyana Magazine 2016. This special edition magazine will be launched in the Grand Savannah Suite of the Pegasus Hotel, Georgetown. Theme: Guyana 1966 – Using History to Project the Future! For more information, kindly contact us on telephone numbers 225-5846 or 227-6441.